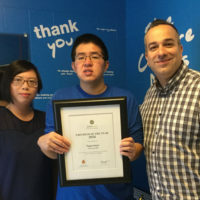 Jobs West is an employment program affiliated with Developmental Disabilities Association. 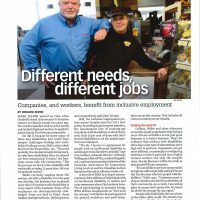 Jobs West has been in operation since 1985 and works with employers and adults with developmental disabilities. 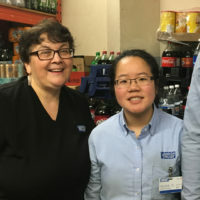 Megan was working at a grocery store but was looking for more hours – so she approached Jobs West, an employment program that enables people with developmental disabilities to find and maintain employment. She interviewed at London Drugs, and got the job. Through the support of a colleague who mentored her, she not only feel accomplished in her role, but a part of the London Drugs family. Jobs West is pleased to present the Employer of the Year award to three dedicated businesses in their respective cities! Learn more about how Jobs West can find qualified entry level staff for your organization and create an inclusive work environment.